Sikorsky Aircraft is turning to its Schweizer Aircraft subsidiary to help it speed military aircraft production lines as it prepares to deliver more than 1,700 H-60 Black Hawk and Naval Hawk variants to the U.S. military alone in coming years. The move comes as the Stratford, Conn. helicopter maker is struggling to overcome the effects of a six-week strike by 3,600 production-line and other workers represented by the Teamsters. The strike forced Sikorsky to nearly halt commercial aircraft production and dispatch engineers, office workers and executives to step in on production lines and maintain some flow of aircraft and parts destined for the U.S. military. Before the strike ended in early April with a razor-thin union vote to return to work, the U.S. Navy chief acquisition officer complained that the service's spares supply had dwindled and the strike was having "a pretty significant impact" on H-60 operations. Sikorsky officials project that production won't get fully back on schedule until late this year. As a direct result of the strike, the company is pursuing an FAA production certificate to build S-76 and S-92 helicopters at its Keystone Helicopter subsidiary in Coatesville, Pa. Establishment of a second civil-aircraft line would help Sikorsky ensure production in the event of future labor unrest. 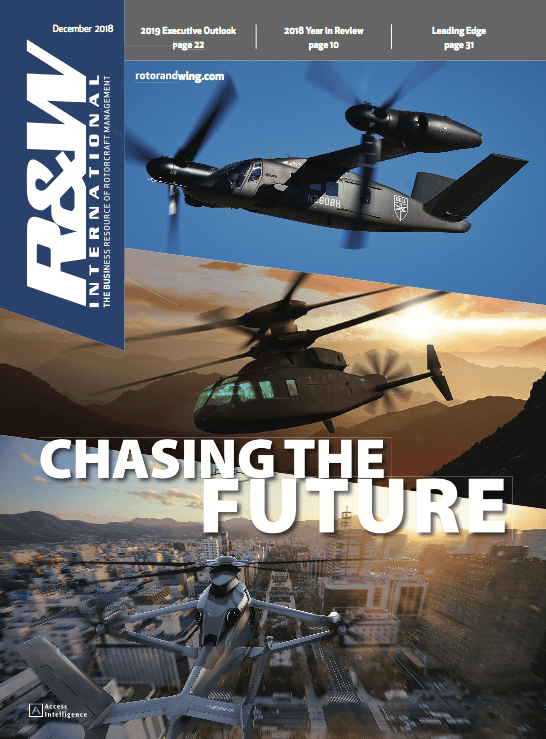 The goal is to "get this place on schedule just like a heartbeat," Sikorsky President Jeff Pino told Rotor & Wing in an exclusive interview to appear in the magazine's August issue. In addition to the U.S. H-60 deliveries, Sikorsky is ramping up S-92 production and increasing the S-76 build rate by 25 percent this year. On June 5, Sikorsky and Schweizer officials, with a bevy of politicians at their sides, broke ground on a 100,000-sq.-ft. rapid prototyping and military derivatives completion center dubbed Sikorsky Hawk Works @ Schweizer Aircraft. Schweizer already has the lead in producing Sikorsky's coaxial, high-speed X-2 technology demonstrator, set for first flight this year (see page 52). Schweizer's Black Hawk completion line could get busy. The U.S. Navy, Sikorsky and Lockheed Martin (which partners with Sikorsky on the Navy's MH-60R program) are expected to renew efforts to sell the International Black Hawk to non-U.S. customers at this month's Farnborough Air Show. In a related move, Sikorsky picked CDI Corp.'s CDI-Aerospace group to open and operate an engineering design center in Bozeman, Mont. to support Sikorsky's commercial and government aftermarket. The Bozeman facility is the third design center opened on behalf of Sikorsky, according to Mark Miller, Sikorsky's vice president of research and engineering. The other two opened last year in Lexington, Ky. and West Lafayette, Ind. Also, Sikorsky agreed last month to work with China Aviation Industry Corp. 2 toward collaboration on the development and manufacture of civil helicopters. A memorandum of understanding between the companies calls for discussion on manufacturing, assembly, flight-testing, engineering design and analysis, and new product development in the light, intermediate and medium classes. The companies also agreed to explore establishing Changhe Aircraft Industry Corp. under AVIC 2 as a second source for S-76 airframes. U.S. Army Light Utility Helicopter (LUH) officials have laid the path for the swift selection of a contractor team to provide the 322 new aircraft, according to individuals closely following the race. The service was expected to pick a winner before the end of June. LUH officials met individually with the four contractor teams in late April and May to review their aircraft's evaluations and flight demonstrations and get answers to remaining questions about their bids. They then issued an amendment to the LUH request for proposals, including a reduction in the external load requirement. Responses were due May 31; bidders were warned not to include any "surprises." Program officials also are believed to have gained approval for initial production funding, leaving only the name to be filled in on the contract. The contenders are AgustaWestland's AW139, Bell's 412EP, EADS North America's EC145 and MD Helicopters' MD902. With flight activity up in most sectors, helicopter operators are bemoaning a lack of qualified pilots to replace retiring Vietnam-era fliers and urging changes to close that gap and prevent future ones. A top Bristow Group official complained the offshore support sector is short of pilots, aircraft and mechanics and urged oil and gas companies to do a better job of planning for their demand in the future. The director of European operations for the group's Bristow Helicopters in Aberdeen in late May said the company is searching the globe for more aircraft and associated crews and technicians to support them to meet the demand from oil and gas companies. "In the same way that drilling rigs are booked well in advance," the director, Willie Toner, said, "long-term consideration of future helicopter requirements would ensure that the risk of any shortfall in availability is significantly reduced. "We make every effort to anticipate future demand," he added. "But in a highly competitive market, serving an industry subject to wide variations in activity, it would be very helpful if helicopter operators could be part of clients' overall logistical planning." Today's demand follows a period when offshore flights from Aberdeen fell by half from the peak of oil and gas activity in the 1980s. The U.S. air ambulance industry is running short of qualified pilots to meet its demand for new crews, according to director of operations for the West Plains, Mo.-based air medical service Air-Evac. The director, Stuart Buckingham, told the Springdale, Ark. Newspaper The Morning News, "As an industry, the shortage is being discussed and we are seeking ways to get young pilots up to speed through business partnerships with air tour companies or news-gathering organizations who might sponsor young pilots' hourly flight time. We have also considered flight simulation to boost hours, but in reality there is not a short-term solution to the loss of veteran personnel." China's provincial and city governments are looking to acquire new helicopters for airborne law enforcement, including support of the upcoming Olympics, according to various news sources. The Beijing police plan to add four AgustaWestland helicopters to its force to support the 2008 Summer Games as well as standard operations such as search and rescue, traffic control, automobile accident investigations and high-altitude photography, according to the Web site ChinaDaily.com, which quoted the deputy director of the finance and equipment bureau of the public security ministry, Tao Junsheng. Speaking at the 2006 China International Exhibition on Police Equipment, Junsheng said police helicopters can monitor 15 times as large an area as ground police, and for areas where "air police" are employed, "robbery, theft and other street crimes will be reduced by 50 percent." Fulvio Maurogiovanni, AgustaWestland Asia sales director, said contracts will be signed soon between the Beijing public security bureau and AgustaWestland. The first helicopter will be handed over next April, with the others due by October. Exhibitors at the conference included AgustaWestland, Bell Helicopter and Sikorsky Aircraft. Eurocopter, which is also looking at the Beijing market for the upcoming Olympics and claims 45 percent of the civil and para-public market in China, is predicting that China will need about 300 helicopters between now and 2015. Eurocopter announced the purchase of two EC225 search-and-rescue helicopters by the Chinese ministry of communications for China's Rescue and Salvage Bureau. 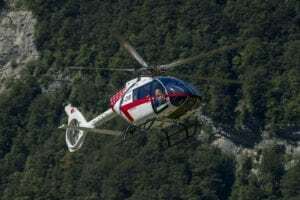 Norbert Ducrot, Eurocopter executive vice president, said the two aircraft will be operational with the ministry fleet by the end of next year. Guangdong province police have stated that they plan to make greater use of helicopters, ordering more as the situation warrants, according to China Daily. Zhu Suisheng, deputy director of Guangdong Provincial Department of Public Security, said his department would try to introduce a more efficient system to authorize the use of helicopters this year. Public security departments in cities across the province can apply to use police helicopters from the provincial department when they are needed, Zhu told a police aviation work conference in Guangdong's city of Foshan recently. However, departments currently have to go through complicated and time-consuming procedures before they are given the green light to use them. Zhu also urged relevant police departments to fully understand the importance police helicopters can play in fighting crime. "Police helicopter teams should also expand their co-operation with ground and marine police forces to further improve their effectiveness." Eurocopter has entered into a partnership agreement with Bangalore, India-based Hindustan Aeronautics Ltd. for joint production of the civilian/military Ecureuil and Fennec family of helicopters. According to Eurocopter, the agreement envisages the supply of composite and metal structural assemblies for the two helicopter families. Under the deal, HAL will supply the composite and metal work packages, including the airframe for the two helicopters, for the world market. In addition to this, the Cheetah and Chetak fleets of the Indian Army will soon be due for replacement. European has proposed the AS350B3 Ecureuil, with its high-temperature and high-altitude capability, as a replacement for those aircraft. The production of the AS350B3 in collaboration with HAL is the latest in a series of efforts by the company to expand its market in India. Bell Helicopter is also working to expand in the Indian market, setting up a joint venture pilot training school in India next year as part of its strategy to boost sales and forge linkages with companies in the country. The facility, which will cater to about 100 pilots flying Bell helicopters, will be set up in partnership with an Indian firm, said Bob Fitzpatrick, Bell's senior vice president for business development. Under a $5-million contract with Bell, HAL last year began producing tail-rotor blades for Bell 206s. Bell has pitched the 407 as a Cheetah/Chetak replacement and reportedly has offered to transfer 85 percent of 407 technology so the aircraft could be built in India. Australia's national government has approved an Australian $2-billion (US$1.5-billion) acquisition of at least 34 MRH90 helicopters to replace the Royal Australian Navy's Sea Kings and the Army's Black Hawks. The selection complement's Australia's decision in 2004 to acquire 12 Multi-Role Helicopters (MRH90) derivatives of the NH Industries NH90 as the Army's additional troop lift helicopter. The first of those 12 are slated for delivery in December 2007, with deliveries continuing through 2009. The 34 additional MRH90s are to be assembled by Eurocopter subsidiary Australian Aerospace in Brisbane. When delivered, the aircraft are to be based at RAAF Townsville, Holsworthy Barracks in Sydney and HMAS Albatross in Nowra. A contingent of MRH90s also is to be based at a joint training facility at Oakey in Queensland. "The new twin-engine troop lift helicopters will provide opportunities for joint fleet management," said Australian Defence Minister Brendan Nelson. "These benefits include greater operational flexibility and efficiency through common operational, training and logistic systems and a capability to rotate personnel, aircraft, spare parts and role-specific equipment between troop lift, special operations and maritime support commitments." 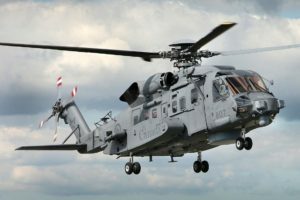 Software for the Kaman SH-2G(A) Super Seasprite's Integrated Tactical Avionics System has entered formal qualification testing at Kaman's subcontractor CSC-Australia in Sydney. The new avionics system is designed to improve weapons management capability and enable a crew of two to perform complex missions that would otherwise require a crew of three or four to complete. Its development led to major delays in the Australian program. In May, Kaman finished the last of about 400 pre-qualification software tests of the software, paving the way for the beginning of the formal qualification testing process. "We anticipate that the phase will take approximately two months, followed by final flight acceptance testing of the 11 full mission-capable helicopters beginning during the third quarter of 2006," said Kaman Chairman, President and CEO Paul Kuhn. Kaman is still working with the Royal Australian Navy with regard to an anomalous flight condition that resulted in grounding of the aircraft. 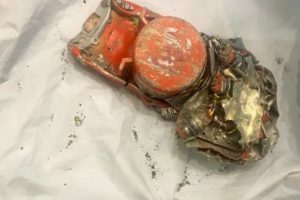 The problem has been attributed to the aircraft's airspeed sensor and is being resolved, with a replacement component being readied for delivery, the company said. It is anticipated that the grounding will be lifted following completion of final flight acceptance testing. An art exhibit is provoking passersby in Salzburg, Austria. The exhibit by Paola Pivi features a complete, five-ton Westland Wessex 558, on loan from The Helicopter Museum in Somerset, United Kingdom, placed upside down in the Residentsplatz at the center of Salzburg. The artwork is billed as "an allegory to the fast-rising careerist looking for a solution to the hectic daily routine." It is one of 10 works by famous European artists that are part of Salzburg's new biennial event, "Kontracom06.Contemporary.Festival.Salzburg," which runs through July 16. The FAA has approved funding to allow the industry to move forward with Automatic Dependent Surveillance-Broadcast (ADS-B) in the Gulf of Mexico, approving the Gulf for installation of the new technology. The agency requested $80 million in the Fiscal 2007 budget to begin initial implementation of ADS-B, with the first segment planned for deployment next year to provide communications, navigation, and surveillance as part of the Next Generation Air Transportation System. The approval is a significant step in improving operations in the Gulf, according to HAI President Matt Zuccaro. "The need for accurate weather, direct communications and surveillance capabilities has never been greater to support the 650-plus helicopters flying offshore," providing support for over 5,000 offshore oil and gas platforms, he said. The Gulf fleet "logs an average of 7,500 trips a day, involving an estimated 2.1 million operations a year - a fleet which transports over 2.6 million passengers and flies approximately 380,000 flight hours each year." The June 7 approval covered a memorandum of agreement signed in May by the FAA, HAI and top industry officials representing platform and helicopter owners working in the Gulf. It formally established a cooperative relationship under which the helicopter industry and platform operators will provide space on offshore platforms for the installation of ADS-B equipment, with helicopter operators providing transportation to the rigs for personnel to install and maintain the equipment. The Professional Helicopter Pilots Assn. will host its second Human Factors Safety Conference in October. The conference, scheduled for Oct. 27-28 at the Grand Hotel/Casino in Tunica, Miss., just across the river from Memphis, will include both presentations and moderated forums involving individuals from all segments of the industry to develop recommendations for the recently established International Helicopter Safety Team. The association said that emphasis will be placed on developing and evaluating the effectiveness of safety initiatives rather than a review of known problems, discussing how pilots and other members of the industry can fix problems they see daily. The conference is open to, and seeks input from, individual pilots as well as operators, manufacturers, customers, and any others who are interested in developing strategies to reduce the unacceptably high rate of human factors related helicopter accidents. The U.S. Marines Corps is now using an advanced, ramp-mounted .50-cal. machine gun from the rear of their CH-53Ds to provide a more accurate, 180-deg. field of fire during operations in Iraq. Installation of the advanced GAU-21 into the CH-53Ds of the Marine Heavy Helicopter Sqdn. 463 (HMH-463) follows evaluation of ramp-mounted guns ("The Forgotten Front," March 2005, page 30). "The GAU-21 is very similar to the XM-218 .50-caliber, which is the machine gun that is mounted on the doors of the aircraft," said Cpl. Thomas D. Martinez, crew chief and weapons and tactics instructor with HMH-463. "The XM-218 has been around forever, but the GAU-21 is modified to fire faster and fire slightly farther." The GAU-21 fires some 400 rounds per minute faster than the XM-218. The Marines also tested the M-240G, which fires a 7.62mm round. "The 7.62 round used in the M-240G is too small," said Cpl. Mitchell C. J. Harquail, another crew chief and weapons and tactics instructor with HMH-463. "The rotor wash from the aircraft affects the rounds' trajectory. The .50-cal. is a heavier round. You need a heavy round with a higher volume." Saab AB has launched the Skeldor V-150, a rotary-wing unmanned aerial vehicle designed to have its route and mission pre-programmed prior to launch. 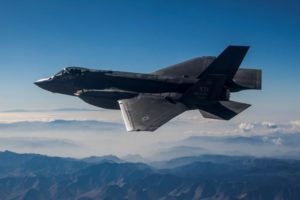 The aircraft is now in full development and plans call for marketing efforts to begin soon on a world-wide scale for both military and civil applications. The new UAV is expected to be operation by mid-2007. "The demand for advanced UAV systems is growing on both civil and military markets, and with Skeldar V-150 we have developed a product in a segment with few competitors", says Lennart Sindahl, senior vice president and managing director at Saab Aerosystems. The Skeldor V-150 system consists of two VTOL UAVs roughly 13 ft. long and weighing around 220 lb., a control station, and EO/IR payloads. Additional payloads such as light weapons and reconnaissance equipment can be integrated, up to about 121 lb., making Skeldar V-150 a complete system for a variety of missions, as well as a good complement to the fixed-wing UAV Saab intends to develop, Sindahl said. The Bernalillo County, N.M. Police Dept. has released a former Marine sharpshooter held for nine months as the suspected sniper who brought down a Bernalillo County Sheriff's MD500G last August (Rotorcraft Report, September 2005, page 12). Jason Kerns was released after the U.S. Attorney's Office drops charges against him in the case. The office said the ballistics evidence collected was insufficient for prosecution. Bernalillo County Undersheriff Sal Baragiola said that he believes Kerns is still a "very viable suspect" and that detectives are continuing to investigate the case. Kerns had faced up to 80 years in prison if convicted. Johannesburg, South Africa-based ESKOM has taken delivery of Simplex Manufacturing's first Javelin Water Lance Powerline Insulator Washing System and gotten it approved by the South African CAA for use on a Eurocopter AS350. The washing system is used to clean electrical towers, and can clean up to 60 towers per day, according to Simplex President and CEO Steven P. Daniels. The system was displayed for the first time at the February Heli-Expo in Dallas. ESKOM is a major electrical power supply corporation in South Africa. The Pentagon's Defense Acquisition Board did not reach a decision regarding the future of Bell Helicopter's H-1 upgrade of U.S. Marine Corps Hueys and Cobras following a late May review of the program, according to sister publication Defense Daily (www.defensedaily.com). According to a memo released from the meeting, "An Acquisition Decision Memorandum will be forthcoming," Defense Daily's Geoff Fein reports, adding that the Defense Acquisition Board held the review at the request of the Navy. There had been some speculation that the program could be in jeopardy, Fein says. However, one source doubted the program would be terminated. The Marine Corps needs helicopters, the source said. In April, the Navy expressed concern over Bell's ability to "adequately perform the [Navy'] H-1 upgrades program" and called into question the company's "capability and capacity to successfully perform existing and future government contracts." The program calls for the remanufacture of 180 AH-1W Cobra attack helicopters and 100 UH-1N Huey utility helicopters into four-bladed AH-1Z and UH-1Y models. Russia and Croatia are working out a deal under which Russia would pay off part of a $186-million Soviet-era debt by delivering 10-15 new, NATO-compatible Mi-171Sh helicopters to the Croatian air force. The debt repayment program was worked out between the Croatian defense ministry and Rosoboronexport, the Russian government-run company responsible for arms exports. Also involved were representatives of Ulan-Ude Aviation Plant, which manufactures the Mi-171Sh. The first mass produced Mi-28N Night Hunter military helicopter was given to Russia's defense ministry after successfully completing factory tests, the chopper's manufacturer said May 30. 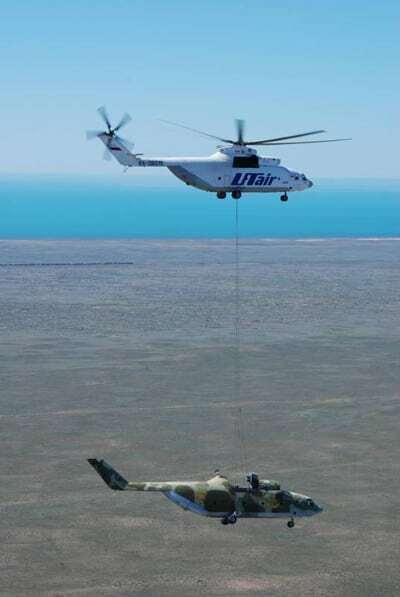 "The serial helicopter will join two other experimental Mi-28N helicopters being tested by the defense ministry, and will have to confirm its performance, and undergo avionics tests, including testing of armaments systems," the Rostov Helicopter Plant, or Rostvertol, said. The company said the Mi-28N had successfully passed factory flight and armament tests and that it met design specifications. In March, a state commission led by Russian Air Force commander Vladimir Mikhailov approved production of an experimental batch of helicopters. Mikhailov also said the defense ministry planned to buy 50 Mi-28Ns by 2010. The helicopter is primarily designed to locate and destroy enemy armored vehicles, personnel, small surface ships, and low-speed air targets and fortifications, and to lay mine fields day or night in adverse weather conditions. American Eurocopter delivered new AS350B3s to three law enforcement agencies in May, giving it 63 percent of the North American law enforcement market, the company said. The San Bernardino County (Calif.) Sheriff's Dept. took delivery of its fifth AStar. In taking delivery of the new aircraft, Capt. R.P. Tyler, captain of emergency operations for the aviation division, said the department has to cover a 20,000-sq.-mi. area that ranges from extremely hot desert to mountains reaching 11,400 ft. "The mountains are popular hiking areas throughout the year, so with our new AStars, we're able to search for stranded hikers whatever their location and hoist them out to safety, even on the hottest days." The AStars are also equipped with firefighting hoist buckets during fire season. The Riverside (Calif.) County Sheriff's Dept. took its third AS350B3. Sgt. Steve Bertling, supervisor for the Riverside Sheriff's Dept. Air Support Unit, noted that the new helicopter primarily will be used for nighttime law enforcement missions and search and rescue, but also will be used for transport and surveillance missions, requiring updated avionics along with day and night VFR capabilities and NVG capable lighting. Like the San Bernardino AStar, the Riverside aircraft will be operated in a region ranging from 228 ft. below sea level to mountains 10,800 ft. above sea level. The San Diego, Calif. Police Dept. received in May the first of four new AS350B3s it has on order. It ordered the four aircraft last December and is scheduled to receive all four by the end of this year. The aircraft will be completed by Carlsbad, Calif.-based Jet Source Management, incorporating Dart Helicopter Geneva Console avionics consoles with night-vision Goggles compatibility. The first completed aircraft is scheduled for delivery in August. The City of Chicago Police Dept. has doubled its helicopter fleet with the order for a new Bell 206B3. It already has a Bell LongRanger. The aircraft is scheduled for delivery this November. Bell's Director of Homeland Security Paul Pitts noted that the 206 JetRanger has logged over 40 million flight hours supporting law enforcement since the first one was delivered in 1967. He also noted that the first helicopter ever used in law enforcement was a Bell, delivered to the New York City police in 1948. Hillsboro Aviation, Inc., won the contract from the Chicago Police Dept. to retrofit its 206L-4, which was acquired from the Chicago Fire Dept. and began law enforcement operations in January. As the helicopter operations evolve, it is anticipated that the police department and the Cook County Sheriff's Dept. will operate this aircraft as part of a joint helicopter task force. The retrofit, scheduled to begin last month, will be performed at the Hillsboro Aviation facility in Hillsboro, Ore. Delivery is expected in late August. AgustaWestland sold two A109 Powers to the Latvian State Border Guard for operations along that country's eastern border. Purchase of the two aircraft is being financed by the Schengen facility program, a temporary one-off assistance program offered to new members of the European Union along the EU borders in order to beef up border security in line with Schengen standards and to prepare to join the Schengen Agreement. The Border Guard's new helicopters will be equipped with the latest generation flir, radar, dedicated mission console, rescue hoist, searchlight and a Night Vision Goggles compatible cockpit. Separately, Heliflite Pty Ltd. of Sydney, Australia, a distributor of AgustaWestland civil helicopters, has sold and delivered a new A119 Koala to Jarrod McCracken, a noted National Rugby League footballer and Queensland businessman. The aircraft was the third production Koala to be built at the new A119 assembly line at Agusta Aerospace Corp. in Philadelphia and the fifth A119 Koala sold by Heliflite in the Australian market. McCracken said that he predominately will use the new Koala for private business flying, enabling him to cover the extreme distances he needs to visit his various business activities along the Queensland coast. 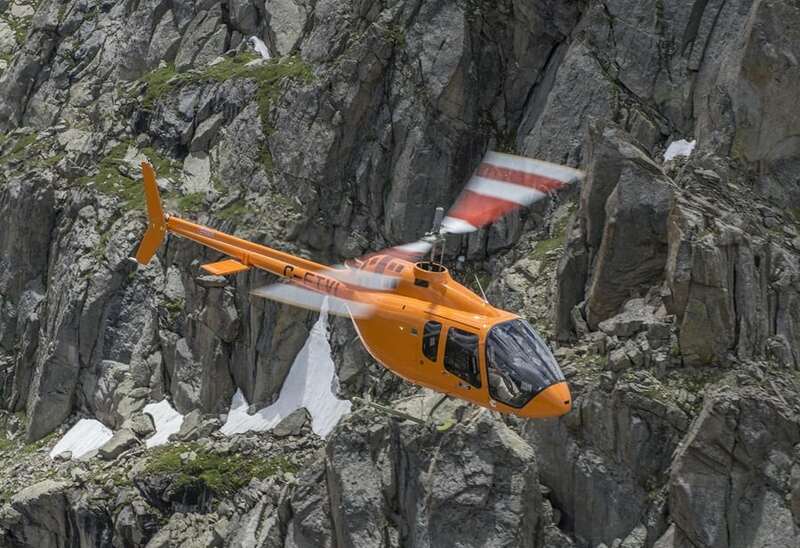 Heliflite also announced the sale of its first A119 Koala in the New Zealand market. The aircraft is also coming from the Philadelphia facility and is scheduled for a delivery to the customer in September. MD Helicopters claims it is regaining the world's law enforcement agencies confidence in the MD Explorer following delivery of a new MD902 to the Cambridgeshire (U.K.) police in late May. The manufacturer took a heavy hit last year when the Dutch National Police cancelled its order for seven MD902s following the National Police Services Agency determination that MD could not support the aircraft (Rotorcraft Report, April 2005, page 8). The new MD902 for the Cambridgeshire police was provided by Police Aviation Services Ltd., and is the 14th MD Explorer to be operated by U.K.'s emergency services. It replaces a 10-year old AS355. Law enforcement equipment on the aircraft includes the Wescam MX15 thermal imaging camera system. Modifications to allow night-vision goggles operations are expected to be made following trials later in the year. The aircraft was turned over to Capt. Tony Cowan, unit executive officer for Cambridgeshire police's Air Support Unit at the Gloucestershire Airport following two-weeks of pilot training and acceptance testing. 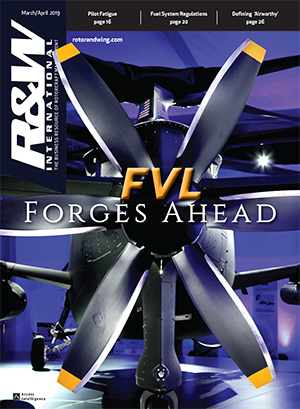 Now you can get a rundown of the top stories in rotorcraft, avionics, aircraft maintenance and aviation safety. 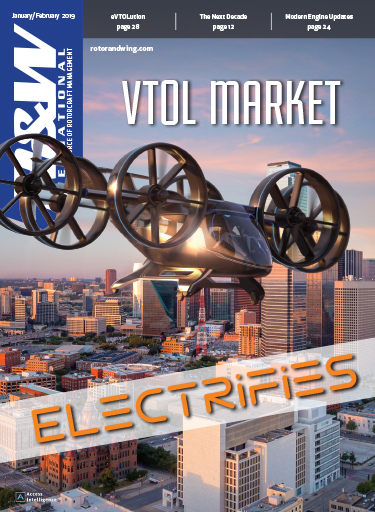 Just visit www.AviationToday.com, the Web site of Rotor & Wing and its many sister publications, including Avionics and Aviation Maintenance magazines and the Air Safety Week and Helicopter News newsletters. The "Today's Top Stories" feature is the latest in a series of upgrades of the AviationToday.com Web site under the stewardship of the site's new publisher and editorial director, John Persinos. That name should be familiar to many of you. John is the former editor-in-chief of R&W. In coming months, he will oversee our effort to beef up AviationToday.com, making it more dynamic and more timely to better serve your information needs. Bookmark the site now and to make it a part of your daily information-gathering routine. * Attack/Utility - The U.S. Defense Acquisition Board met May 31 regarding the USMC H-1 program. It officially announced that a decision will be "forthcoming." No specific date was provided, nor were options to deal with the troubled program explored. * SAR - The U.S. Air Force has asked competitors in the CSAR-X competition to submit their final proposal revisions by the end of July. * Presidential - Team US101, led by Lockheed Martin, opened and dedicated the new VH-71 facilities at Owego, N.Y. on June 12. Metal has now been cut on the first production VH-71 presidential helicopter in Yeovil, England. * Anti-Submarine - The Indian navy has begun evaluation of four helicopters to replace aging Westland Sea Kings used for its anti-submarine warfare program. Competing for the award are the Eurocopter EC725, NH90, S-70B and MH-60R. * ARH--Bell's ARH System Design Demonstration aircraft has now accomplished its initial engine run and been moved from the factory floor to a flight hangar for functional checks. First flight is scheduled within the next three months. * V-22 - Two MV-22s will be flown to the Farnborough Air Show this month to give the USMC an opportunity to develop tactics, techniques and procedures for long-range, over-water movements of the tilt-rotor aircraft. The flights will also validate the aircraft's long-range fuel system capability and aerial refueling data from the 2,300-n.m. flight from Goose Bay, Newfoundland to Farnborough, England. * Cargo - Boeing rolled out the first production model of the CH-47F on June 15, the first Chinook since the earliest days of the program that is not re-manufactured. The aircraft will now be turned over to the U.S. Army for completion prior to being turned over to the 101st Combat Aviation Brigade of the 101st Airborne. Div. * Attack - Eurocopter reports that it has integrated the Israeli Spike-ER air-to-ground missile for its Tiger helicopter. Certification of the missile by Eurocopter parent EADS came amid firing trials of the Spike-ER in Spain in May. The missile has been developed and produced by the state-owned Rafael, Israel Armament Development Authority. Boeing has received a $20-million cost-plus-fixed-fee contract for CH-47 health monitor system technology field support study and objective performance specification development. AAI Corp was awarded an $87.2-million, firm, fixed-price contract for full-rate production of the Shadow Unmanned Aerial Vehicle System and associated support equipment. A second, $65.6-million contract was awarded the company for logistical support of the Shadow UAV. EADS North America Defense Test and Services was awarded a $709,000 Navy contract to develop applications software for the Shaft Engine Test Instrumentation program to allow testing of the GE CT7-8 engines for the Presidential VH-71. Lockheed Martin Systems Integration-Owego is being awarded a $76.5-million modification to a Fiscal 2006 Lot 4 MH-60R advance acquisition contract for 12 full-rate production mission avionics systems. A second award, worth $51 million, authorizes Lockheed Martin to order long-lead items to support Lot 5 purchase of 25 MH-60Rs. Sikorsky Aircraft is being awarded a $6.3-million, firm, fixed-price order for non-recurring engineering required to incorporate the armed helicopter weapon system fixed provisions in the MH-60S production line. Sikorsky was also awarded $40.2 million for advance procurement funding for the MH-60R as well as a $22.9-million modification to a previously contract to extend the period of performance of the special progressive aircraft rework in support of the VH-3D/VH-60N presidential helicopter. General Electric Aircraft Engines is being awarded $15.5 million for repair of various quantities of repairable components of the T64 engine on the H53 aircraft. Bell-Boeing Joint Program Office is being awarded a $9.6-million delivery order for engineering and technical support for management of the V-22 flight control system and on-aircraft software after completion of the V-22 Engineering and Manufacturing, Development Phase. McDonnell Douglas Helicopter Co. was awarded a $40.9-million modification to a contract for procurement of AH-64D Apache Longbow aircraft. Government and corporate helicopters supported a June full-scale exercise by federal, state county and private-sector agencies in New Jersey designed to test their ability to jointly conduct a massive emergency rescue effort, in case a hurricane or other disaster strikes the state. The exercise was based at Atlantic City International Airport's emergency operations center and involved nine helicopters deployed by the New Jersey Army National Guard, New Jersey State Police, U.S. Coast Guard, and the Eastern Region Helicopter Council. The businesses that are members of that council have agreed to volunteer their helicopters and pilots for emergency response efforts, such as the transport of doctors or medical supplies to disaster-affected areas. The helicopters flew from the airport in Egg Harbor Township to three locations in Cape May Court House in Cape May County to transport volunteers portraying emergency victims and rescue personnel. The exercise scenario assumed that a hurricane had struck Cape May County, but certain residents refused to follow evacuation orders before the storm made landfall and had to be rescued and attended to by medical personnel. The 5-hr. exercise tested the ability of the various agencies to communicate with each other during a massive rescue operation. In particular, it tested the ability of helicopter pilots from so many diverse agencies to communicate via radio with each other and with ground control. 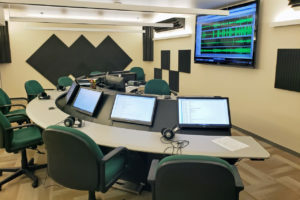 The operation also served as a test run for the ACU-1000 Intelligent Interconnect System and the Regional Emergency Medical System, which allows for coordinated communications over different radio systems. The aircraft used in the exercise included: one New Jersey Army National Guard and two Guard OH-58s, two New Jersey State Police S-76Bs, a Turbomeca-re-engined U.S. Coast Guard HH-65C Dolphin from CGAS Atlantic City and two S-76Bs and one Agusta A109 from the Eastern Region Helicopter Council. Capt. Bruce Jones, commanding officer of Coast Guard Air Station New Orleans, presents (left to right) Lt. Cmdr. Tom Cooper, Petty Officer 2nd Class Israel Parker, and Lt. Maria Roerick medals Thursday, May 25, 2006 for their response to Hurricane Rita. In total, 27 air station crewmembers received either the Air Medal or the Coast Guard Commendation Medal during the awards ceremony. The medals were awarded for flights into hurricane force winds on Sept. 24 in order to rescue 54 storm survivors from rooftops and trees during Hurricane Rita. Bell Helicopter has picked Manassas, Va.-based Aurora Flight Sciences to provide production airframes for the Eagle Eye TR916 tilt-rotor unmanned aerial vehicle Bell is developing to provide surveillance and reconnaissance capabilities for the U.S. Coast Guard's Integrated Deepwater Program to upgrade its air and surface assets. Aurora is to build 45 airframes at its Bridgeport, W. Va. plant as the first batch of Coast Guard TR916s, with first deliveries slated for in 2008. Bell is working as a subcontractor to Lockheed Martin, a partner with Northrop Grumman in Integrated Coast Guard Systems joint venture running Deepwater for the Coast Guard. It is to deliver the 45 aircraft and 33 ground control stations. The program has been stretched out repeatedly due to Coast Guard funding problems. When Bell won the contract in 2003, plans called for the first Eagle Eye unit to be equipped this year. Current plans call for first flight of the first TR916 Unmanned Air Vehicle system in late 2008. Bell's vertical takeoff and landing UAV efforts were set back April 5 when the first and only Eagle Eye prototype was destroyed in a crash at its new UAS Flight Test Center at Wrangler Field in Graford, Texas. A simpler version intended for commercial and land-based security operators, the TR918 was nonetheless considered by Coast Guard officials as fully representative of the TR916. The German LBA has certified ecms Aviation Systems' new fast roping and rappelling system designed specifically for the SA 365 Dauphin. The EDX02 is a highly advanced system that immensely increases the safety and efficiency of helicopter missions. The Hannover Police in Germany is the first to receive this system for their SWAT operations. The Hannover police worked with ecms during the design process allowing ecms to develop a system that is user friendly and takes into consideration the needs of all crew members involved in the operation from the pilot to the board technician and SWAT team itself. The EDX02 has an emergency pyro-electric release switch located in the cyclic stick that will release the ropes in a mater of milliseconds during an emergency. A control box monitors the system at all times and reports to the pilot via audible and visual warnings. The British Ministry of Defence has begun a program of providing high visibility riding clothing to 400 members of the British Horse Society to prevent horses being spooked by low flying helicopters. The U.K. military recently came under severe criticism when a female rider was killed last year when her horse bolted because of a low flying RAF Chinook. A trial using fast, low flying Puma helicopters determined that horses and riders with high visibility clothing can be seen in plenty of time for the pilots to take evasive action, whereas those not so attired were invisible until it was too late to avoid passing directly over them. A trial using fast, low flying Puma helicopters determined that horses and riders with high visibility clothing can be seen in plenty of time for the pilots to take evasive action, whereas those not so attired were invisible until it was too late to avoid passing directly over them. Lockheed Martin executives were joined here by members of the U.S. Navy and Marine Corps, New York congressional delegation, and state and local elected officials, to formally open the VH-71 Presidential Helicopter Integration Facility. "Today puts us one step closer to seeing a new presidential helicopter flying from the White House," said Bob Stevens, chairman president and chief executive officer of Lockheed Martin. "It is a tangible example of the commitment of the entire Lockheed Martin Corporation to the success of this critical program." The new 176,000-square-foot facility features aircraft integration hangars, program management and engineering office space, systems integration laboratories, aircraft parts storage, and maintenance and helicopter paint facilities. The complex also includes a new helicopter flight operations area. Eurocopter has received official approval to assist in the launch of a new Korean military transport helicopter program aimed at producing some 300 aircraft. The Korea Aerospace Industry will serve as prime contractor on the Korean Helicopter Program, with Eurocopter as first partner. Selection of Eurocopter as the KAI partner was announced last December, with Eurocopter winning out over Bell and AgustaWestland for the joint venture program. The contract agreement will come in two parts. The initial contract between the two companies is for $1.3 billion for research and development of the 8-ton class transport helicopter designed to carry up to 11 troops. This will ultimately lead to a production contract valued in excess of $4 billion, to be awarded around 2011. The Korean military is planning to order some 245 helicopters to replace about half of the 700 helicopters in their current fleet that are considered obsolete. The contract also covers creation of a joint company for the export market that could take the production level up to and possibly beyond the 300 aircraft mark. Eurocopter has agreed to set up assembly lines for the EC135 in Spain and Switzerland following double digit orders from those two countries. Switzerland has ordered 18 EC635s, the military version of the EC135, plus two EC135s for the Swiss Armed Forces. Eurocopter and Spain have formed a framework agreement for 48 EC135 law enforcement helicopters. Shaking hands on the agreement31 May 2006 - Following the successful development of the virtual avionic systems trainer for the Tiger Armed Reconnaissance Helicopter, Catalyst Interactive and Australian Aerospace today announced a new partnership to develop a world-first virtual maintenance training device for the MRH-90 helicopter. The three-year, multi-million dollar training partnership will cover all MRH-90 systems including avionics, weapons, airframe and engine and is another significant demonstration of Australian Aerospace's continued support for the Australian defence industry. Catalyst Interactive's director of defence business, Dave Fallon, said the program puts Australia at the forefront of high-tech helicopter training and creates the potential for significant exports. "It's the first virtual maintenance trainer for the MRH-90 helicopter developed anywhere in the world," Mr Fallon said. Catalyst Interactive and Australian Aerospace sign multi-million dollar world-first virtual trainer partnership. "We know other countries including New Zealand. Germany, the Netherlands, Switzerland, Finland and Spain are buying these helicopters. Together with our partner Australian Aerospace, we see the potential to sell this virtual maintenance training system to the world and generate substantial export income for Australia." Ghana and Russia yesterday discussed modalities for the establishment of a sub-regional aviation training and helicopter servicing centres in Ghana. The establishment of the regional helicopter training centre is intended to be a joint Ghana-Russian venture to service Russian helicopters in the sub-region, instead of sending them to Russia for servicing. No such centre has been set up yet in Africa and four of such centres are planned for the continent. Ghana's team was led by Dr Kwame Addo-Kufuor, the Minister of Defence, while the Russian delegation was headed by the Deputy Chief Director of the Russian Federal State Unitary Enterprise (RFSUE) and Special Advisor to the Russian Minister of Defence, Major-General Anatoly Isaikin. Dr Addo-Kufuor's entourage included the Chief of Defence Staff, Lieutenant-General Joseph B. Danquah, and the Chief of Air Staff, Air Vice Marshall Julius Boateng. Accompanying Major-General Isaikin were the Russian Ambassador to Ghana, Mr Valery Olov, and five officials of the RFSUE, which is also known as the Rosoboronexport. Bell Helicopter has selected Aerospace Filtration Systems, Inc. to provide fully integrated high-performance inlet barrier filter systems for the new 429. The filters will be part of the aircraft's FAA type certification design. AFS recently teamed with the Donaldson Company, Inc. to develop an advanced 429 filter and are currently working on developing dry media filter technology for multiple rotary wing platforms, according to AFS President Mike Scimone. The dry media filter will simplify maintenance of the system by allowing the use of compressed air or an environmentally friendly cleaning solution and water, rather than require the time and attention needed to dry and re-oil the filters, he said. Scimone added that privately funded filter development technologies in the areas of separation efficiency, performance analysis and icing research testing "will allow the 429 to benefit with a best-in-class barrier filter design." Aero Dynamix, Inc. is pleased to announce that in coordination with American Eurocopter and the San Bernardino Police Department, they have just completed and received its 11th STC approval for a Night Vision Goggle (NVG) compatible cockpit modification for the Eurocopter AS350B3. Dan Hewitt, President Aero Dynamix, stated, "This is an important milestone in our 12 year history. Night Vision Compatible Lighting is our primary business. Our entire design manufacturing effort is dedicated to providing certifiable solutions to our customers during night vision operations." Aero Dynamix, Inc. of Euless, Texas designs and delivers avionics lighting modifications for helicopters and fixed wing aircraft. In the past 12 years, over 500 shipsets have been modified at the system level. Other Night Vision Lighting STC approvals include: AgustaWestland A109Es, Bell 206Bs, 206Ls, 407s, 412s and 430s, and Eurocopter AS350s and BK117s. Chip Summers, Program Manager, American Eurocopter relates that the customer is very pleased with the results and are impressed with the appearance and operational performance of the avionics equipment during Night Vision Goggle flights. Chip states "that have we received numerous very favorable comments from various customers on recent conversions, they are particularly impressed with the backlit and overlay panels." American Eurocopter has hired Bill Prickett to serve in the newly created position of manager, public relations, working directly for Brenda Reuland, vice president, communications and public relations. Prickett previously served as public relations manager for Promotional Products Assn. International in Irving, Texas. CAE has realigned its senior management positions, naming Don Campbell as executive vice president and Nick Leontidis as executive vice president, innovation. Campbell had served as group president, military simulation and training, while Leontidis was executive vice president, sales, marketing and business development. Marc Parent, head of simulation products, will retain that position while becoming group president, simulation products and military training & services. Martin Gagne, currently executive vice president, marketing & sales, military simulation & training, will become executive vice president, sales and marketing, simulation products and military training & services. DRS Technologies has promoted Robert F. Mehmel to executive vice president and COO. Mehmel previously served as executive vice president, business operations and strategy. The Aircraft Electronics Association has presented its 2006 AEA Lifetime Achievement Award to John Winter, "a pioneer in the field of aviation gyros" and owner of Mid-Continent Instruments. Jim Phelen, a helicopter pioneer who was involved in the first helicopter combat rescue, passed away on May 16. He was also the husband of the late Jean Ross Howard Phelan, the founder of the Whirly-Girls. Phelan, who was a crew chief, along with pilot Carter Harman, performed the first helicopter combat rescue on April 25-26, 1944. The men flew their Sikorsky YR-4 behind Japanese lines, in the China-Burma jungle, and rescued American pilot Ed "Murphy" Hladovcak and three British soldiers when their plane crashed. Dallas Airmotive has appointed Lee Holloway to the position of director, international territorial sales, responsible for the company's sales team covering much of Europe and North Africa. Acrohelipro Global Services Inc., a subsidiary of Vector Aerospace Corporation, has appointed Marty Russo as regional sales manager, Southwest USA. The appointment is effective June 1, 2006. Acrohelipro provides full service support for helicopters worldwide. The New Jersey Aviation Association, an organization dedicated to the promotion, enhancement, and protection of New Jersey's aviation industry, has appointed Arlene Feldman as president. Bristow Group Inc. has announced the appointment of Randall A. Stafford as vice president, general counsel and corporate secretary of the company. Lycoming has added two new regional sales managers to its staff: Oscar Rodriguez for the Latin American region and Ernesto Rodriguez for the European region. July 8-9--Imperial War Museum Flying Legends Air Show, Duxford War Museum, Duxford, England. Contact: 44-1223-835-000; E-mail: duxford@iwm.org.uk; Web: iwm.org.uk. July 15-16--Royal International Air Tattoo 2006, Fairford, UK. Contact: www.airtattoo.com. July 18-23--Farnborough International Airshow, Farnborough, England. Contact: 44-20 7227 1043; E-mail: enquires@farnborough.com; Web: www.farnborough.com. July 24-30--EAA Airventure 2006, Wittman Regional Airport, Oshkosh, Wisc. Contact: (920) 426-6523; E-mail: conventional@eaa.org; Web: www.airventure.org. July 26-30--International HeliDays Plus, Weston-super-Mare, North Somerset, England. Contact: Elfan Ap Rees, 011-44-(0)1934-822-524; E-mail: westonsuper@helidays.freeserve.co.uk. Web: www.helidays.freeserve.co.uk. Sept. 16-18--National Guard Assn. of the United States 128th General Conference and Exhibition, Albuquerque, N.M. Contact: Web: www.ngaus.org. Oct. 6-8--Combat Helicopter Pilots Assn. (CHPA) Annual Meeting and Reunion. Menger Hotel, San Antonio, Texas. Contact: E-mail: admin@chpa-us.org. Web: www.chpa-us.org. Oct. 17-19--NBAA 59th Annual Meeting and Convention, Orlando Orange Co. Convention Center, Orlando, Fla. Contact: NBAA (202) 783-9000; E-mail: info@nbaa.org. Web: www.nbaa.com. Oct. 27-28--Professional Helicopter Pilots Association's second Human Factors Safety Conference. Grand Hotel/Casino, Tunica, Miss. Contact: Jeffery Smith. E-mail: jefferysmith@autorotate.org. Web: www.autorotate.com/autorotate/safety2006/. Nov. 14-15--Heli-Power, Olympia Conference Centre, London, England. Contact: Claire Lynam, 44-(0) 1628 606950; E-mail: cl@shephard.co.uk. Dec. 3-4--Middle East Business Aviation (MEBA), Abu Dhabi, U.A.E. Contact: Barbara Saunders, 971-4-390-8161; E-mail: Barbara.s@actionprgroup.com; Web: www.dubaishow.org.